I’m thrilled to be welcoming my fellow Accent author, friend, and RNA Chapter member, Alison Rose to my blog today! Thanks for inviting me to your blog. I’ve followed a very long path to get here! It all began years ago when my husband bought me an Amstrad Word-Processor – yes, it was THAT long ago! “I’ll be published by the time I’m thirty,” I declared. Well, I think God must have had wax in his ears that day, because he misheard me. Either that, or he thought I needed to learn the art of patience. It took thirty years. I haven’t wasted the time. I’ve learned my craft, through courses, workshops, and writers’ groups. I’ve tried lots of different genres and styles of writing, and eventually found a voice – or rather voices, as I now write contemporary women’s fiction as Alison Rose, and YA adventures as Alison Knight. “Journalist Kate Armstrong has always known that music icon Johnson Brand’s platinum-selling first album was written about his break-up with her mother, Alexandra. When Kate’s boss sends her out to interview the star himself, her life is turned upside down when her resemblance to Alexandra prompts Johnson to seek out her mother and renew their relationship. Another romance, as yet untitled, is due out from Accent Press in June, followed by the first in a series of YA time-slip adventures in early 2016. I’m currently working on a novel based in 1960s London, and have lots of ideas for further books – thirty years’ worth! I can’t describe how thrilling it is to be a published author. But that’s only a part of the story. I’ve been so lucky to find many special friends in writing groups, classes and organisations like the Romantic Novelists’ Association. They encourage and inspire me, and never let me give up on my dream. So, if there’s a message in this post today, it’s: if you want to achieve something, keep going and never give up. Work hard, and learn from every experience, and one day you’ll get there. It might take longer than you expect, but it will be worth it in the end. Oh, and when you do get there, give a hand to others on their way and tell them not to give up! Alison was born in London, and now lives in rural Wiltshire with her husband and their crazy Jack Russell terrier. She has two grown-up children and one and a half grandchildren (number two is due in May 2015!). She has been a lawyer, a registered child-minder, and a professional fund-raiser, and currently works for an international development charity as a legacy officer. She lived in the US for a year as a teenager, and has travelled to China, Israel, Egypt, Thailand, and Honduras – where she picked up a very nasty bug which laid her low for a couple of months after she got home. At the age of forty-five, Alison became a part-time student while continuing to work full-time, and now has a first class degree in Creative Writing from Bath Spa University and a masters in the same subject from Oxford Brookes University. Now she’s trying to learn Spanish in advance of her next holiday, and researching London in the 1880s for her next YA time-slip adventure. 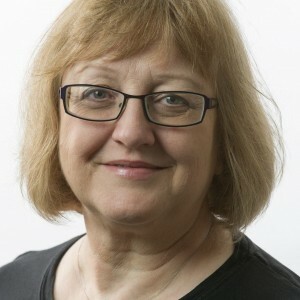 She’s a member of the Society of Authors, The Romantic Novelists’ Association, and the Oxford Narrative Group. Brilliant post Alison. Many thanks for blogging with me today. Congratulations for achieving your dream to be published, Alison! I’m also a member of the RNA and was thrilled to be published with Accent Press last September. I love the sound of your book and will definitely have to add it to my tbr pile. Congratulations Alison. Everything you say is true and could well apply to me. It takes dedication, patience and lots of passion but when you love writing, you just carry on, no matter how many rejection letters you get! Lovely to see that you have so many projects to get on with, but in the meantime, good luck with your novel. I am worn out reading this. What an achiever. How wonderful. Inspirational and uplifting. Wishing you all the best for the future. I shall be checking your book out and adding it to the Empire State which is my TBR pile soon. Thank you Georgina, Marie and Jane. 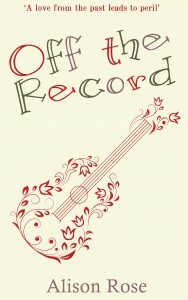 I hope you enjoy Off the Record, and perhaps we’ll meet up at a writers’ event sometime soon! The story of your determination has spurred me on, Alison. I haven’t written ‘seriously’ for quite as long as you but now I’m working less hours I’m putting in the graft to get my novel completed. Hope to see you at the next Oxford Narrative Group meeting. The critique today was extremely useful.